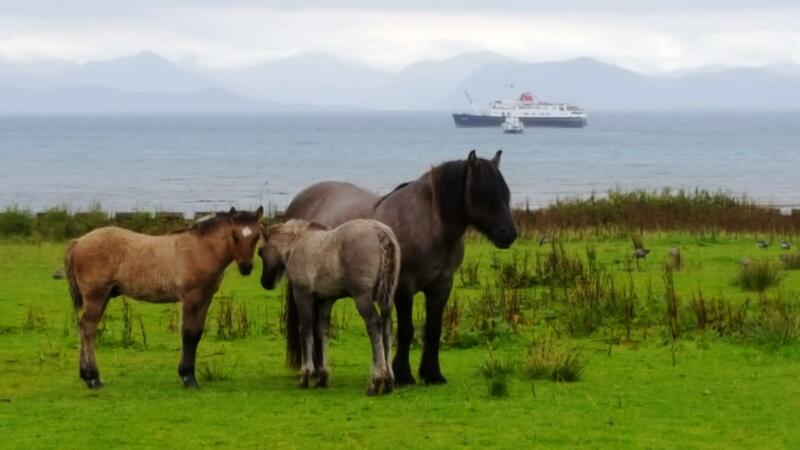 Spend 5 nights on the revered Hebridean Princess and experience the Isles of Raasay and Rum, combined with isolated mainland destinations on this delightful late summer cruise. 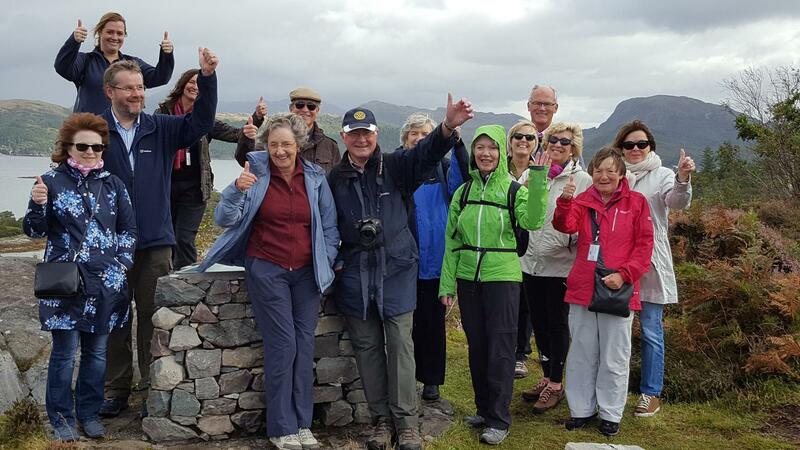 We hope all our guests enjoyed this taster cruise and we wish then a safe onward journey. 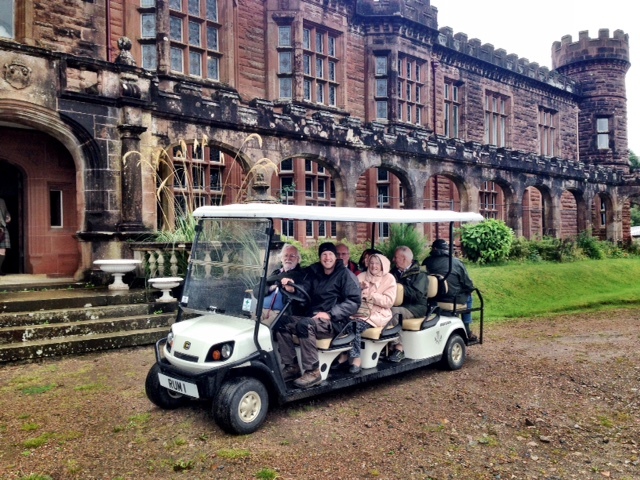 This morning guests enjoyed exploring the Edwardian folly of Kinloch Castle on the Isle of Rum. Once the summer home of Lancastrian industrialists, the Bullough family, both the island and the castle were gifted to the forerunner of todays Scottish Natural Heritage, who continue to maintain the island and its wildlife. Rum has its own breed of Highland Ponies, the below foals are less than three months old. 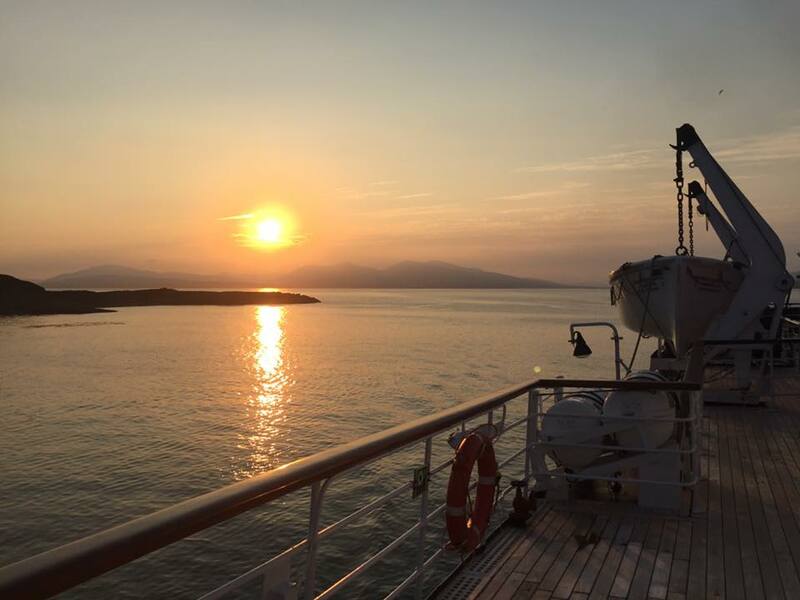 A relaxing sail of the Small Isles and the Sound of Mull was the order of the afternoon, as we cruised south on passage towards our overnight anchorage in Oban Bay where the Farewell Gala Dinner was held. 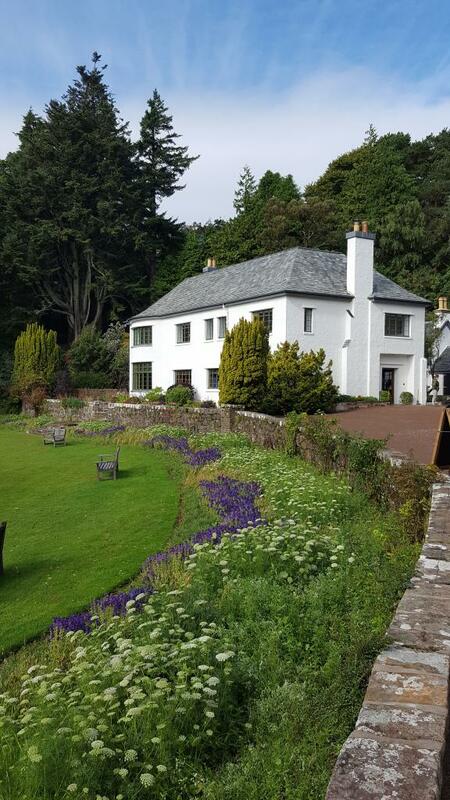 From Gairloch this guests had the option to visit Inverewe House and Gardens or go for walks up Flowerdale Glen. 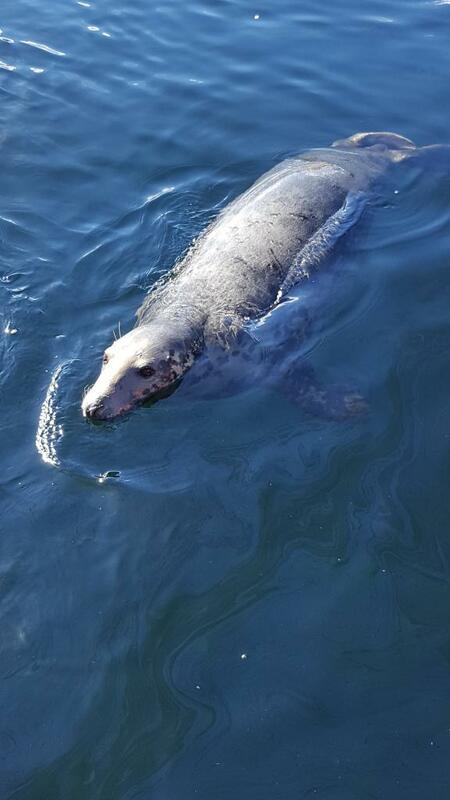 In Gairloch our guide Malcolm captured this shot of a friendly seal who accompanied guests back to the ship! 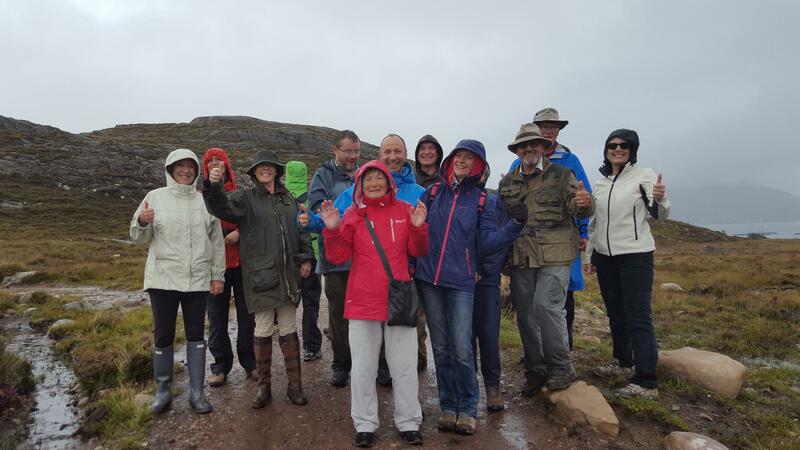 We landed on Raasay in the afternoon for walks on the island and a tour and refreshments at Raasay House. 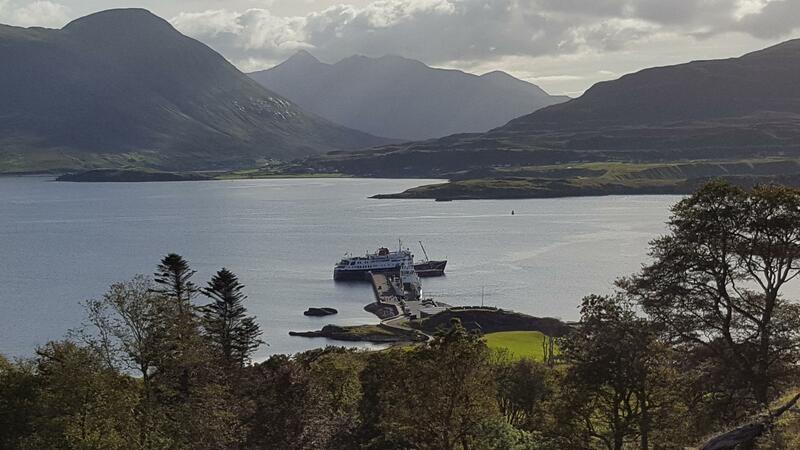 The below image was taken on a walk high above Raasay House. 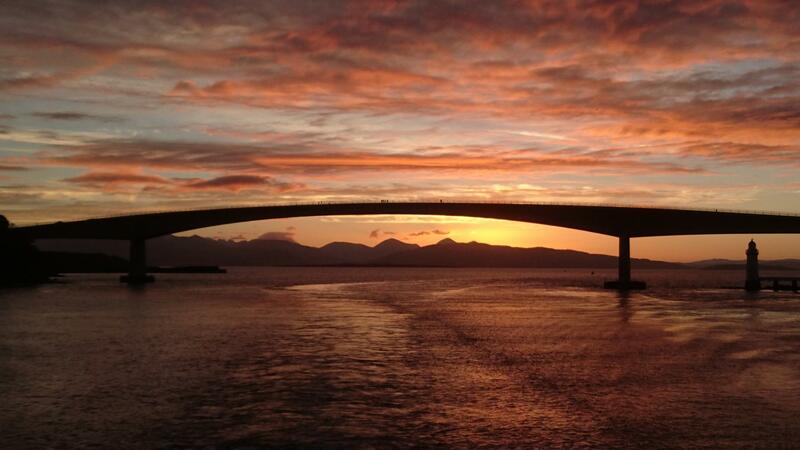 Cruising south under the Skye Bridge guests witnessed a stunning sunset on passage towards our overnight anchorage in Loch Scresort, Isle of Rum, overnight. Sunrise over Plockton this morning. 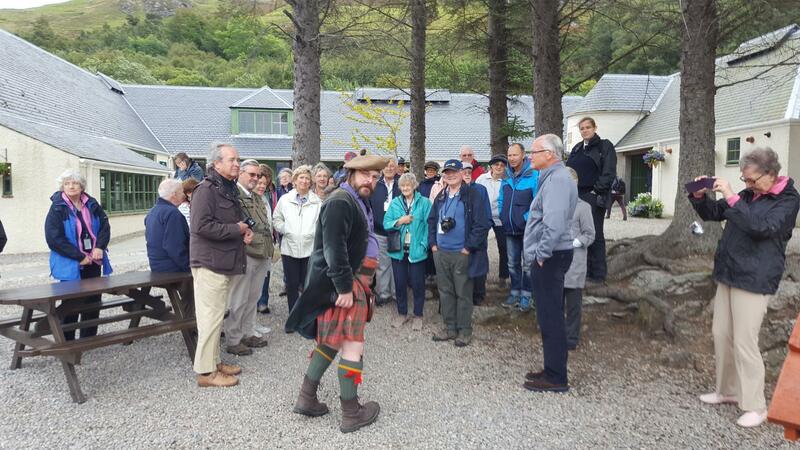 This morning guests were tendered ashore at Plockton where a coach was waiting to transport them to Eilean Donan Castle. 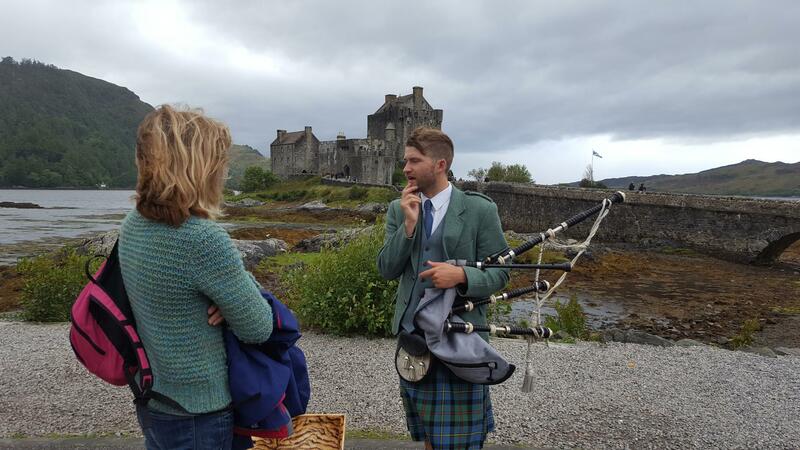 On our way from Plockton to Eilean Donan Castle our coach driver treated guests to a drive round Skye - twice! In fact we crossed the bridge to the Island of Skye and drove twice round the roundabout before driving back over the bridge. 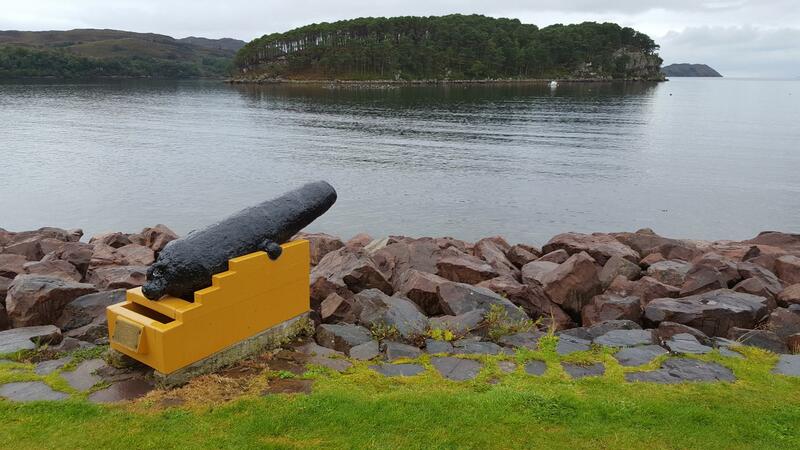 During lunch we sailed north to make a late afternoon landing at Shieldaig for walks in the village. 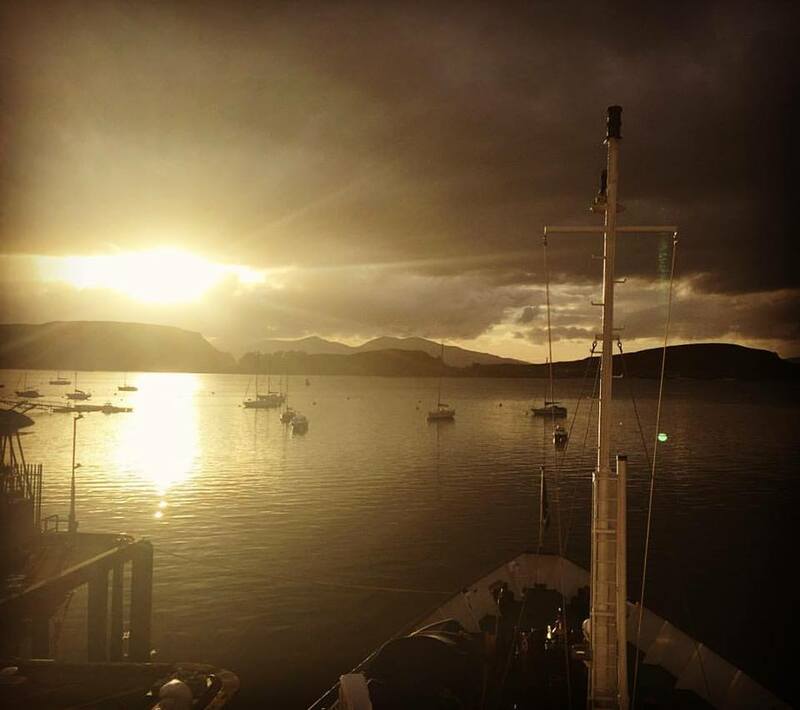 We anchored off Gairloch overnight. 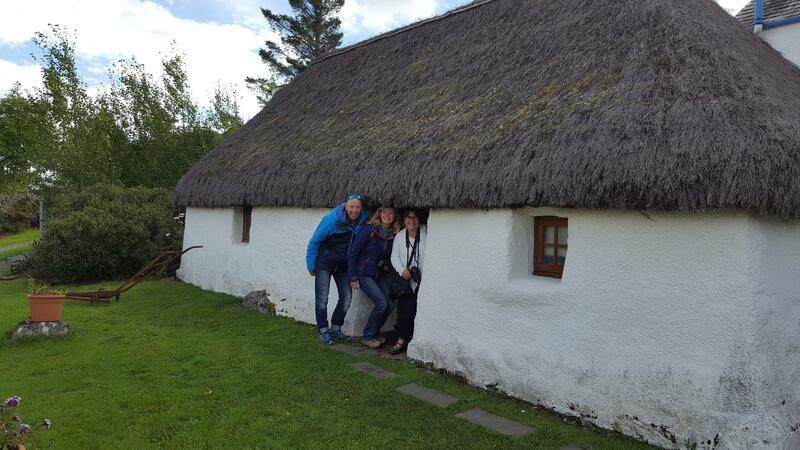 Today was spent exploring the pretty conservation village of Plockton on the shores of Loch Carron. 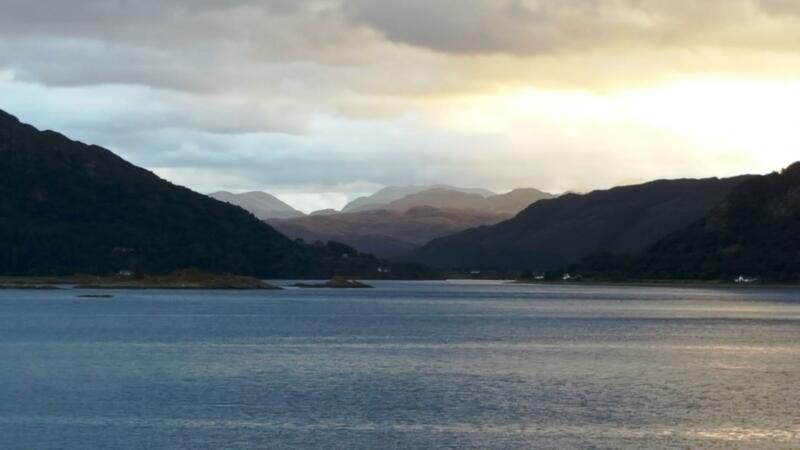 We remained at anchor overnight in Loch Carron. 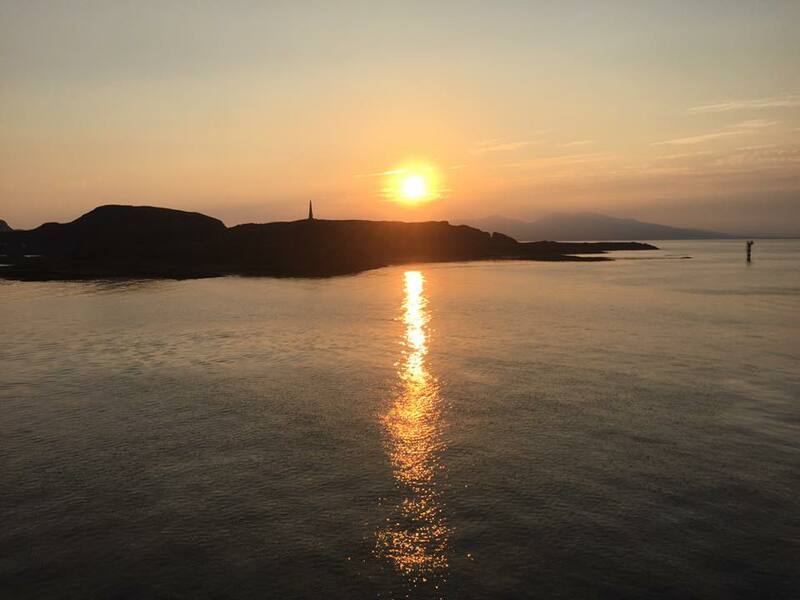 It was a gorgeous evening in Oban as a new complement of guests embarked for the second of our short taster cruises and we set sail for our overnight anchorage in Loch na Dal.